It is Ancient Rome, and Gordianus the Finder has a knack for finding trouble. Known to many as the one man in the ancient world who can both keep a secret and uncover one, Gordianus lays bare some of his most intriguing and compelling adventures. 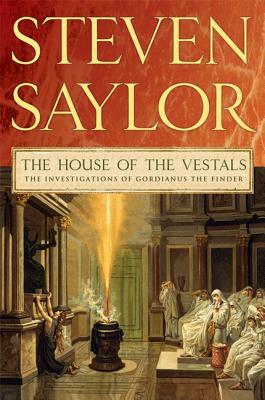 The House of the Vestals collects nine of the award-winning stories of Gordianus the Finder by critically acclaimed, bestselling author Steven Saylor. Filling in some of the gaps between novels, this delightful collection of unique and unforgetable mysteries is Saylor at his finest - revealing the intrigues in the secret history of Rome.